Shares of the uranium producer ETF are staging a rally. NEW YORK (TheStreet) -- Welcome to Don Dion's "ETF Winners and Losers." Be sure to stop by throughout the week to find out which ETFs are gaining or losing. After Monday's decline pushed the uranium producer ETF to its 50-day moving average, the fund is staging a nice bounce higher. Shares of URA still have ground to cover before regaining levels seen at the start of March. It will be interesting to see if more strength will be in store up ahead. Uranium is not the only slice of the alternative energy sector heading higher. Solar is also enjoying strength. With these gains, the Market Vectors Solar Energy ETF ( KWT has managed to work much of Monday's losses. A strong retail sales report has helped to ignite confidence in investors, luring them back into the marketplace. As a risk-on mentality takes hold, the inherently volatile emerging markets have become popular destinations. SCIF and the iShares MSCI South Korea Index Fund ( EWY are among the biggest beneficiaries. As investors clamor for riskier assets, market-correlated industries and sectors are falling into favor. Materials-focused funds like SLX and the SPDR S&P Metals & Mining ETF ( XME are both enjoying industry-leading gains. Be cautious here: These funds heavily rely on investor moods. 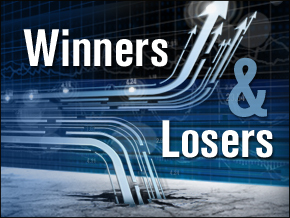 Just as they top winners lists during periods of euphoria, they quickly tumble to leading losses when doubts crop up. As we approach the end of the day, major market indices have managed to stay buoyed while the fear-tracking VIX benchmark has taken a hit. VXX will be interesting to watch in the coming days. The fund's most recent five-day string of losses has pushed it closer to all-time lows. As investors adopt a risk-on mentality, safe haven asset classes are being cast to the sidelines. Disinterest in long-term U.S. treasuries has caused TLT to retreat to short-term support. It will be interesting to see if the fund can maintain its footing at this level. At the time of publication, Dion Money Management did not mention any equities in the story.